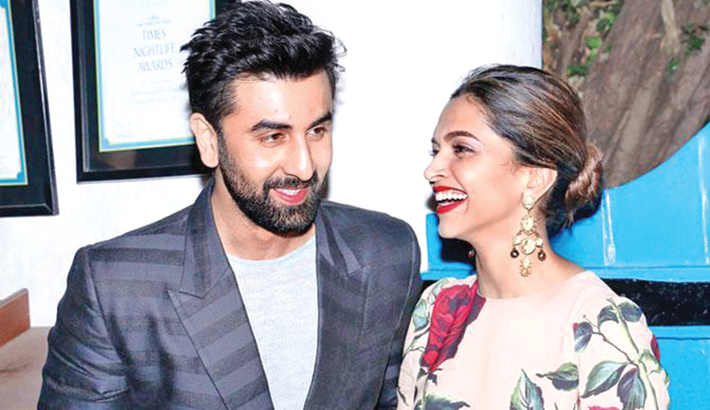 Deepika Padukone and Ranbir Kapoor keep rewriting new chapters in how to remain friends with your ex book, reports Mid-day. The former flames were spotted sharing a warm vibe ahead of an event. The two hugged each other, laughed and chatted in full view of the paps. Fan groups of both stars have been sharing their snapshots on Instagram. Dippy's husband, Ranveer Singh, recently said he has no reason to feel uneasy about Deepika's equation with Ranbir as he is a secure person and more importantly, no one can love her the way he does! It's so refreshing to see a former couple from B-town be cordial and warm towards each other. All parties concerned in the equation are equally brilliant in their careers and are happy with their respective partners. Envy or insecurity doesn't seem to figure in this friendship. Alia Bhatt, who is rumoured to be Ranbir Kapoor's girlfriend, recently starred in the movie Gully Boy with Deepika Padukone's husband, Ranveer Singh. Their friendship, too, is adorable and their onscreen chemistry is quite sizzling. Alia and Deepika, too, shared screen space on Karan Johar's chat show and both the leading ladies seemed to be at ease around each other and shared an easy camaraderie.